Artists and aspiring artists are gathering in Bathurst at the Atelier dAIRY CReATivE preparing for the first formal tutorial studio session on Tuesday 1st May. Tim Miller, the Master Artist at the core of the Atelier is enthusiastic about sharing his many years of experience in Life Drawing from the model as he begins a 10 week cycle introducing the fundamentals of drawing. The recently refurbished cool rooms on the corner of Bentinck and Princes Streets make an inspiring space in which to learn a new hobby or hone a long standing skill. The clerestory lighting reflects the top-lit studios of Europe from which so many of the masterpieces emerged and in which so many of the masters trained. Bathurst has long been a destination and locale that has inspired the creativity and lighted the insight of Australia’s renowned artists – the new Atelier continues this tradition for the next generations, bringing masters and beginners together in a space that will ignite a new enthusiasm for the arts. Places are limited for the first 2 Studios that will run on Tuesday mornings and Wednesday evenings. Reserve your easel by booking online, now. Why not subscribe for access to the Atelier for a whole year and receive discounts to Studio sessions and support the initiative to continue Bathurst’s artistic heritage. In 1904 a building was crafted to store vegetables in a collection of cool rooms, each at a specific temperature and humidity. Technology of the day included specific gravity boilers, using salt and water as the refrigerant. The building is insulated with a ‘sandwich’ construction of brickwork, pumice block, cork sheeting and a layer of render and bitumen between each. The interior of the building is characterised by large timber posts and beams, and internal walls lined timber panelling. 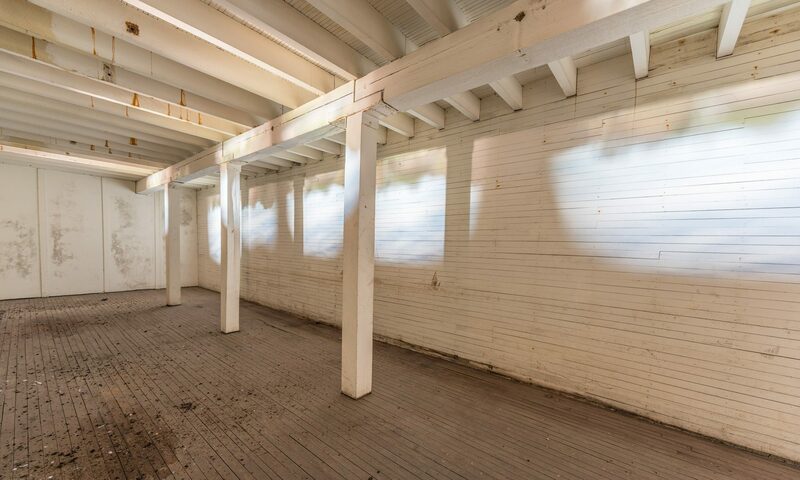 For the last decades of the 20th Century the building served as a cool room for Dairy Farmers to store milk products and then fell into disrepair as part of an abandoned site awaiting redevelopment. In 2017 the building has found new life as an artistic creative workspace. Anchor tenants integratedDESIGNgroup have overseen 2 years of restoration of the building to become a vibrant and textural delight on the fringe of Bathurst CBD. From 2018, the building will also house a new Art School being established to proffer traditional Atelier drawing training, in which students will learn from a master in Life Drawing, anatomy and other artistic skills. Students will grow at their own pace and according to their own skill, and with a view to their own objectives. They will be supported toward the creation of a portfolio of work if they choose to proceed to further study or broader promotion. Students will be afforded opportunity of curated exhibition within a gallery to be established from time to time, and through on-line access. People of all ages and sectors of the community will enjoy the space now available in which they can explore the experience and skills of drawing. A subscription base will secure access to the facilities on hand for anyone interested in the arts. A range of subscription levels will include casual visits to the Atelier for Life Drawing Classes, ‘Children’s and Carers’ drop-in art classes, use of the Meeting spaces and other building facilities, opportunities for exhibitions and access to other teaching and networking resources. Tutors are being drawn from the strong art tradition well established in the Bathurst Region, and also from well known Atelier schools around the State and internationally.